For my project I had to manually code the welch method using the code below. Pretty much it involves finding the spectral density through fft and incorporating windowing and segmenting with overlap. I need to know if my PSD is correct so I am checking through 2 methods. root of area under the PSD should be the RMS (E[x^2]) and since I have taken away my mean from the data, this should equal the standard deviation of the data Checking if Parseval's theorem holds. With the peak, point 1 holds up well but without the peak the standard deviation is slightly different from the RMS but thats not a huge concern. My second issue is that I cant get the Parseval's theorem to hold. Is there something I'm doing wrong? Is it necessary for the Parseval's theory to hold? Please let me know if my theory is wrong. 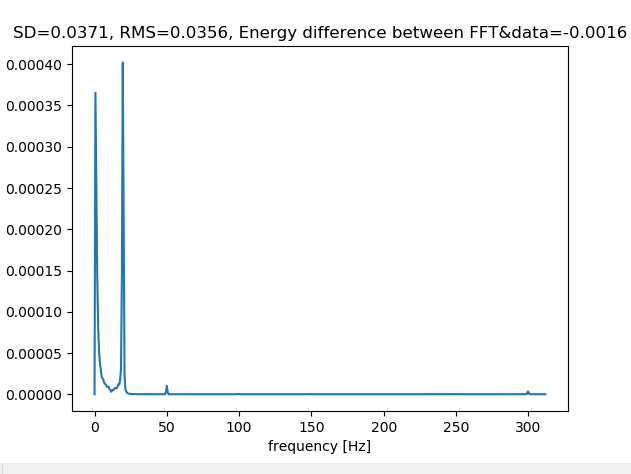 Firstly I am getting a 0Hz peak even after removing the mean at the start. The only way I can remove the 0Hz peak is to take the mean away after I have segmented and multiplied the window. The mean doesn't have to remain at 0 when you apply a window. Changing the weight of a particular sample would shift the mean accordingly (e.g. a weight greater than 1 on a positive sample would increase the mean). 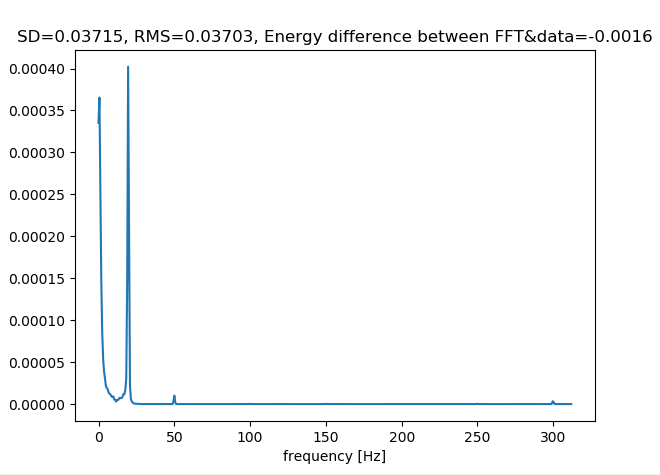 If you must remove the 0Hz peak, the only guaranteed way to do so is right before the FFT (or right after the FFT, but that second option wouldn't remove the spectral leakage to adjacent bins). Your will also need to remove the frequency step part in your final integration of FFT_energy and stick with the straight summation given in the discrete time formulation of Parseval's theorem given above. Not the answer you're looking for? Browse other questions tagged fft fourier-transform power-spectral-density or ask your own question. Can I use FFT to interpret accelerometer gestures? How to apply Hamming Window and compute FFT?